FlySpeed DB Migrate provides full set of database connectivity options to connect to almost any database server or desktop databases. We recommend you to use the OLE DB Provider option to migrate from Microsoft SQL Server, Oracle, Sybase and some other databases wich have native OLE DB Provider. 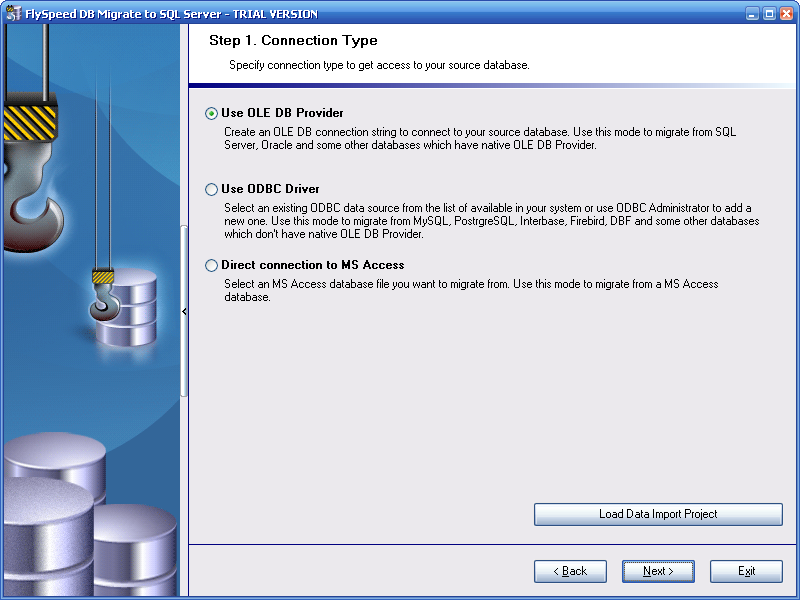 For those databases that doesn't have native OLE DB provider we recommend to use the ODBC Driver option. Use the ODBC Driver to migrate from MySQL, PostgreSQL, InterBase, Firebird, DBF and many other databases. MS Access database is carried out to the separate option to achieve maximum compatibility and data transfer speed.